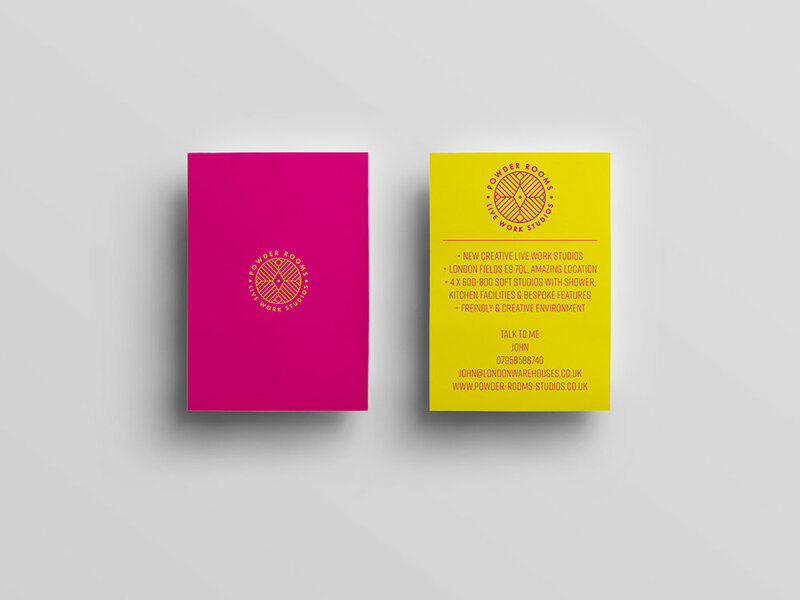 Branding, graphic design and marketing material for a Live / Work creative studios in Hackney, London. With an aim to attract creative professionals situated in East London, we developed a promotional campaign focused on traditional methods such as postcard handouts. Graphic Design, Website Design & Digital Marketing Agency, Somerset & London.